Carinn; carerynn | Malaysia Fashion, Beauty & Lifestyle Blog: Lifestyle x Giveaway: Carousell 3-for-3 Giveaway! Hey Carousellers! Just wanna share some good news with you guys :) * The Carousell 3-for-3 giveaway has been extended till 11 June 2014 so hurry and upload your listings now! There's some good news to share with you guys. Carousell has recently expanded its partnership with SPH Magazines from August 2013 and has now collaborated with BluInc Media to bring over 1.6 million fashion and beauty sales listings to the digital editions of selected magazines in Malaysia. Some of these include Female, EH!, Cleo, and Glam magazine. Sounds familiar? They're kinda like the top female mags in Malaysia that you'll see in every bookstore and newstand! 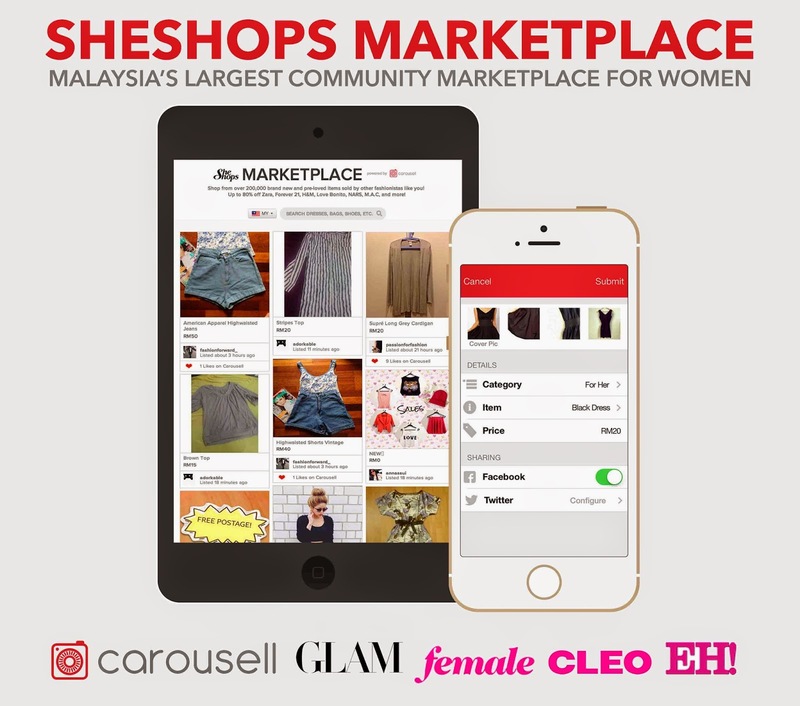 The company’s then 200,000 fashion and beauty listings in August 2013 have since grown to over 1.6 million listings.The partnership is Carousell’s first in Malaysia, and is aimed at helping sellers reach a larger pool of buyers seamlessly—a move that is consistent with the company’s mission of inspiring millions to start selling. How it works is that, Carousell members selling in the categories “For Her” and “Beauty Products” can list an item for sale, and it will automatically reach a large and targeted audience of fashion and beauty magazine readers. Sounds good? Some better news is that... Carousell is giving away FREE 3 months digital subscription to any of these magazines, with just 3 simple steps! 2. Post 3 listings* in the 'For Her' and/or 'Beauty Products' category. 3. Wait for your redemption code on 28 May and instructions on how to redeem your free subscription! instructions will be sent to you after 28 May 2014. * Good news! The 3-for-3 giveaway has been extended till 11th June 2014 so you have more time to upload your listings and win free subscriptions! Disclaimer: This is NOT a sponsored post, I'm just sharing on my own accord to let my readers know of this chance to get free mag subscription, especially if they're avid readers themselves.